One thing should be said from the very start. This game is awesome. 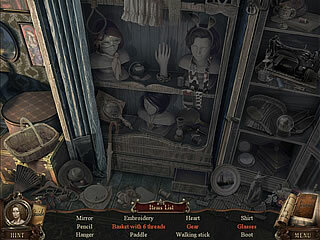 Brink of Consciousness: Dorian Gray Syndrome is a nice game with a dark story, beautiful scenes and challenging puzzles. All of those aspects are really polished and create a great atmosophere. One of the first things you notice is the beautiful animated graphics and this wonderful music that fits the story events. You play as a young journalist who wrote a few articles about a maniac that is active in town. All of that is only a story to tell as long as you don't get a letter from the maniac saying that your girlfriend is now with him. Now you are the one to rescue her and get the story you are actually a witness of for your articles. You get to a manor you need to explore. The place is dark and full of weird things. Your every step is being watched and commented on through speakers all over the place. One of the first things you notice is the beautiful animated graphics and this wonderful music that fits the story events. I really like the speakers that talk to you as you play. It creates the feeling that you are part of a movie or something. 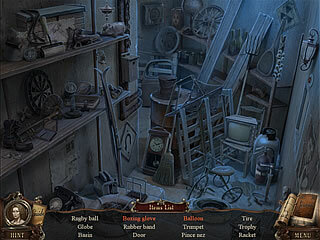 The hidden object scenes are very nice - no random things that do not belong, different kinds of items on the list, a balanced challenge level. The puzzle are part of the general quest, that spreads all through the game as you explore all the locations. The game is really great in all its aspects and is one of the best of its genre. This is Brink of Consciousness: Dorian Gray Syndrome review. Download this game here.